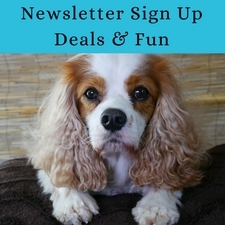 As a Dog and Cat Mom, I’m always looking for ways to improve my pets’ health and behavior, and my connection with them. I often find myself lightly massaging Dexter The Dog and lightly rubbing Nutter The Cat‘s head and neck. There are various forms of pet massage, including deep tissue, Tellington TTouch, flexibility, and Tui-Na. Whether you are looking for a deeper way to connect with your pet, or you are looking for something that can mentally or physically heal your pet, massage may be able to help. Today, I had the pleasure to speak with Michel Selmer, DVM, CVA, CVCH, CVFT about Tui-Na manual therapy, or Chinese bodywork. 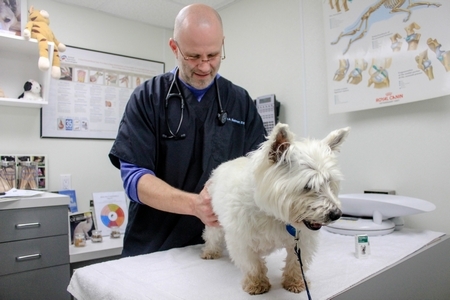 Dr. Selmer specializes in Traditional Chinese Veterinary Medicine, acupuncture, naturopathy, and Tui-Na. I thought he would be the perfect person to speak with about how Tui-Na, often pronounced “twee na,” can assist our pets. Tonya Wilhelm: What exactly is Tui-Na and how it can be used in pet care? Dr. Michel Selmer: Tui-Na is a Chinese manual therapy often used for prevention and/or treatment of disease in pets. The Traditional Chinese Veterinary Medicine practitioner will use various techniques which are applied to acupuncture points, meridians, and/or limb movement and stretching. Tui-Na is based on the fundamentals of Traditional Chinese Medicine. Tonya Wilhelm: That’s very interesting. 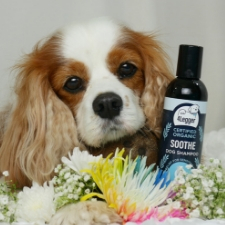 How is Tui-Na different than other forms of pet massage such as Tellington TTouch? Dr. Michel Selmer: I am not very familiar with “TTouch,” but from what I do know it compares to Tui-Na as they are both composed of techniques that resemble therapeutic massage. Tui-Na is used to move Qi and blood and relieve pain, to regulate the internal Zang-fu functions and to restore the balance of Yin and Yang. It is based upon the fundamentals of the TCVM, Five Element theory and Eight Principles. I am not sure what medical background or philosophy the Tellington method of TTouch originated from. Tonya Wilhelm: Would Tui-Na therapy help a pet with anxiety? Dr. Michel Selmer: Most Tui-Na techniques are considered sedating/relaxing when done with strong stimulation and low frequency. Cases like with Project Hope (dogs rescued from dog fighting), in which there is a Shen disturbance that may stem from Liver Qi stagnation and/or a Heart Yin/Qi deficiency, can be treated with Tui-Na techniques by stimulating acupuncture points and channels, which then lead to promoting Qi and blood circulation as well as helping to regulate Yin and Yang imbalances. Tonya Wilhelm: For anxiety, do you ever use Tui-Na and not acupuncture, or do they need to go hand in hand for anxiety? Dr. Michel Selmer: Depends on the case and the patient. Can use them both as stand-alone treatments or in complementary use. Sometimes I will do acupuncture in the office and then teach the owner some Tui-Na techniques to do at home in between acupuncture treatments. Bella and is being treated for weakness and Addison’s disease. 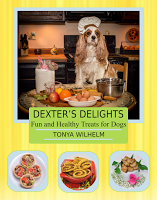 Tonya Wilhelm: This sounds like it would benefit a lot of pets. Is this something a pet owner can learn to apply at home or is this strictly something only a veterinarian should perform? 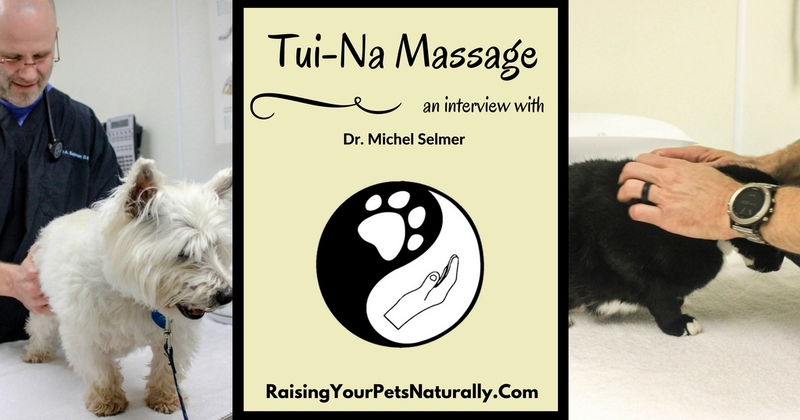 Dr. Michel Selmer: A Veterinarian that is Certified as a Tui-Na practitioner is trained to apply Tui-Na to the patient as well as teach the owner techniques they can do at home. Tonya Wilhelm: Are the results immediate or do they show over time? Dr. Michel Selmer: It truly depends. Sometimes we see immediate results and sometimes they take time. Either way, the patients enjoy the treatments as it feels good. Tonya Wilhelm: Are there any pets not appropriate for Tui-Na? Dr. Michel Selmer: Contraindications of Tui-Na include, any fracture site, very old and/or very weak patients that may become depleted by vigorous therapeutic manipulations, pregnancy, any site of a mass/tumor, injured skin, dermatitis, infectious and contagious (zoonotic) diseases, and within 30 minutes of a meal. Tonya Wilhelm: How does a pet owner of veterinarian know if the treatment is working for a particular pet? Dr. Michel Selmer: You will know if Tui-Na is working if whatever the concern is improves. 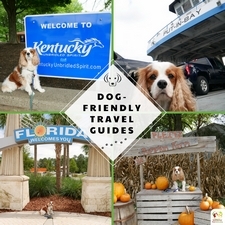 The practitioner will be able to assess if a pet is a good candidate for Tui-Na. 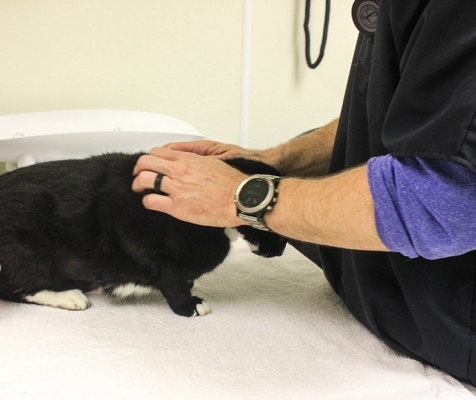 Oreo being treated for inappropriate urination and alopecia/pruritis. Tonya Wilhelm: One last question. Is Tui-Na something that both dogs and cats can enjoy? After my interview with Dr. Selmer, I am energized to learn more about Tui-Na and how it can benefit pets with physical and mental alignments. I look forward to talking with him in a future post about how Tui-Na paired with acupuncture can assist dogs and cats with anxiety. In the meantime, I wanted to point you to Project Hope. Dr. Selmer is asking other TCVM practitioners across the country to join him in providing acupuncture and Tui-Na pro bono to traumatized dogs waiting for their forever homes. You can read about Hope’s story and her amazing recovery below. Do you massage or rub your pet? Tell me in the comments. I’ve never heard of Tui-Na before, but it sounds very interesting and worth looking into. 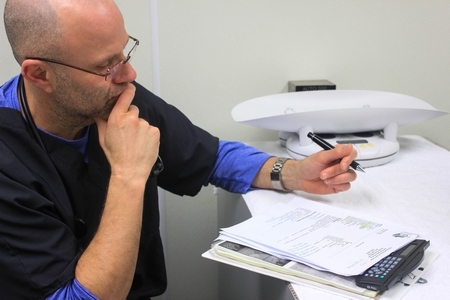 Thank you for this interview with Dr. Selmer. Thanks, Rachel. We will be doing another one on how Tui-Na helps anxiety. Stay tuned. This is great!! I’ve been flirting with the idea of following a massage course for dogs for ages! But people look at me funny when I talk about it :D! Since it helps to relieve stress, Charlie could really benefit from it!! Interesting interview – thanks for sharing! Fascinating! I had never heard of this form of massage before. My dog Jack loves a massage – he must be the most hedonistic pet I’ve ever had. I have no idea what I’m doing, but whatever it is he loves it, he can sit there for an hour, head lolling, eyes closing. Too funny. That is so sweet. Touching your pets daily is so important. I have heard of more and more pets getting acupuncture and going for massage treatments, but until now I have not heard of Tui-Na therapy. I think it’s important to look into solutions that could possibly help your pet. Thank you for this. I have not massaged Simba before, but it is interesting to learn the benefits of massaging. My daughter who is a vet tech, also does massage therapy. It’s a wonderful tool! Keira my senior has also had great results with acupuncture. That’s awesome! Thank your daughter for all that she does. wow … I had never heard of it. thanks for sharing. Very interesting and I am going to look into it more. Awesome! We will be doing a follow-up on Tua-Na and anxiety. Stay tuned. Is there any research on this technique? I’m not sure. I will see if Dr. Selmer can answer that. I know when I was browsing last week, I ran into some sites that were talking about research using Tui-Na with autism. Paul, Tui-Na is technique that has been used for over 3000 years based upon the fundamentals of Traditional Chinese Medicine. All the evidence is based upon the anecdotal evidence over the thousands of years. I am not aware of any formal Veterinary western “FDA” trials and/or research. We are learning animal acupressure from our colleague Dianna S Smith’s book – there is so much we can all do to help our pest at a holistic level – working with and supporting the work our vets do. That is so cool! Yes, there are so many things we can add to our pets care to improve their overall quality of life. If this were available in my area I would absolutely take my Lyla for treatments! I personally give her massages – not just petting but massage, regularly. 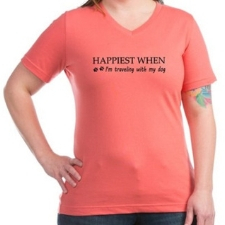 It sure does help with her anxiety. I have found some of her favorite pressure points through trail and error, don’t worry no errors that hurt her, just discovered what relaxes her most. I think pet massage should be studied further, and used as much as possible for our pet’s health and wll being. Thank you. That’s great you have been trying different massage techniques with Lyla. Yes, there are things that each pet will and will not enjoy. Reading their signals like you are is key. Thanks for the comment. I’ve never heard of this! Thank you for posting I learned so much! Thanks, Ruth. I am so glad you enjoyed it. 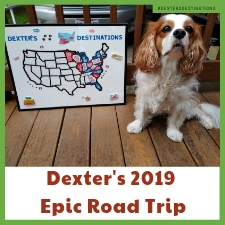 Treating Dexter’s neurological disease using TCM food therapy saved him. I started as a skeptic but saw and continue to see such amazing results. Very interesting technique, thanks for sharing! I’d never heard of Tui Na before but if it works for anxious pets, it would be worthwhile. I’m a firm believer in natural practices like this. I try to give my cats and dogs massages on a regular basis, especially my disabled cat. I never knew about this particular massage practice. Thanks for sharing! Mr. N has had a leg fracture before. Does it just not work at the site of the fracture or can they not receive the therapy at all? Hi, Mr. N’s Mom. 🙂 Let me see if I can get Dr. Selmer to answer that for you. Poor Mr. N.
Sure thing. Thanks for reading. I am not familiar with Tui-Na massage. However, I know a massage therapist (for humans) and her patients have had huge success with massage therapy. One little boy with ADHD comes in for a massage and it actually helps manage his symptoms for days or even a week. It is really incredible, even the therapist was surprised. I’m sure pets would benefit from massage therapy too. I’ll have to read more about it and try it on my dogs. That’s amazing Beth. Wow. Thanks for sharing.